The 2017 version of Microsoft’s Surface Pro doesn’t bring any revolutionary change to the world’s most popular Windows-based tablet series. 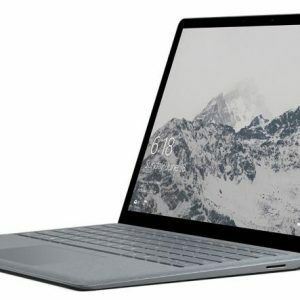 As the most notable improvement, Microsoft has upgraded the Surface Pro’s computing platform from the 6th Generation Intel Core technology to the 7th Gen. The 7th Generation Intel Core chips are slightly faster than their 6th Gen counterparts and enable a longer battery life. 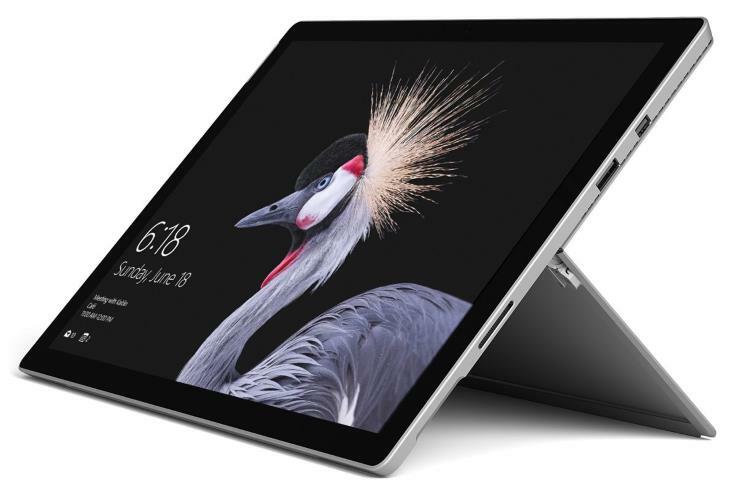 There are also some improvements in regards to the kickstand and separately sold pen and keyboard cover, but overall the Surface Pro remained to be a sleek and powerful 12.3-inch 1.7-pound tablet. The Microsoft Surface Pro 2017 retains display resolution of 2,736-by-1,824 pixels and productivity-optimized 3:2 aspect ratio. 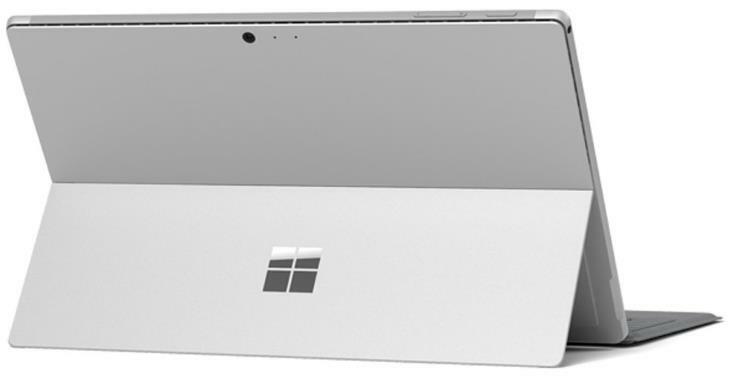 Besides finger-touch input, the panel supports active digitizer input using the Surface Pen. Pen has been upgraded. It now supports up to 4,096 levels of pressure sensitivity instead of 1,024, as well as tilt sensitivity. Furthermore, the updated kickstand can now hold the tablet at a greater angle – up to 165 degrees, which is convenient for pen use on a desk. The entry level Microsoft Surface Pro processor choice is the Intel Core m3-7Y30 with Intel HD 615 integrated graphics. The mid-range CPU option is the widely adopted Intel Core i5-7200U with Intel HD 620. The most powerful Surface Pro processor option is the Core i7-7660U with Iris Plus 640 GPU. System memory size options are 4, 8, and 16 Gigabytes. Storage choices are 128GB, 256GB, 512GB, and 1TB. You can buy these on the official Microsoft Store and other places. 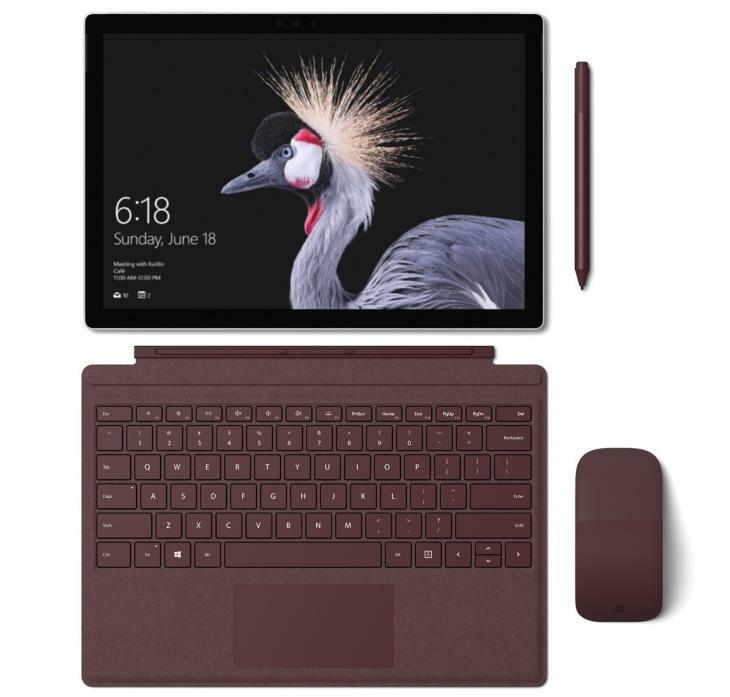 As same as the previous version, the 2017 Surface Pro features Windows 10 Pro operating system, stereo speakers, 802.11AC wireless, Bluetooth, an 8-Megapixel rear and 5MP front camera, a standard-size USB 3.0 port, mini DisplayPort video output, microSD memory card reader, and a combo mic/headphones audio jack. The tablet supports Windows Hello facial-recognition sign-ins and features a TPM chip for enhanced security. Update: The device is now also available with optional 4G LTE mobile network connectivity. According to Microsoft, the device can provide up to 13.5 hours of video playback on a single battery charge. Alongside the new Surface Pro, Microsoft has released a new keyboard cover for it. It’s the 159-dollar Surface Pro Signature Type Cover with Alcantara luxury soft-touch material. The Signature Type Cover is available in Platinum, Cobalt Blue, and Burgundy colors. The Surface Pen costs $99. Here's the specs sheet of the Microsoft Surface Pro 2017. For comparison against other laptops, use the "Compare Specs" button. "Up to 13.5 hours of video playback"